1. 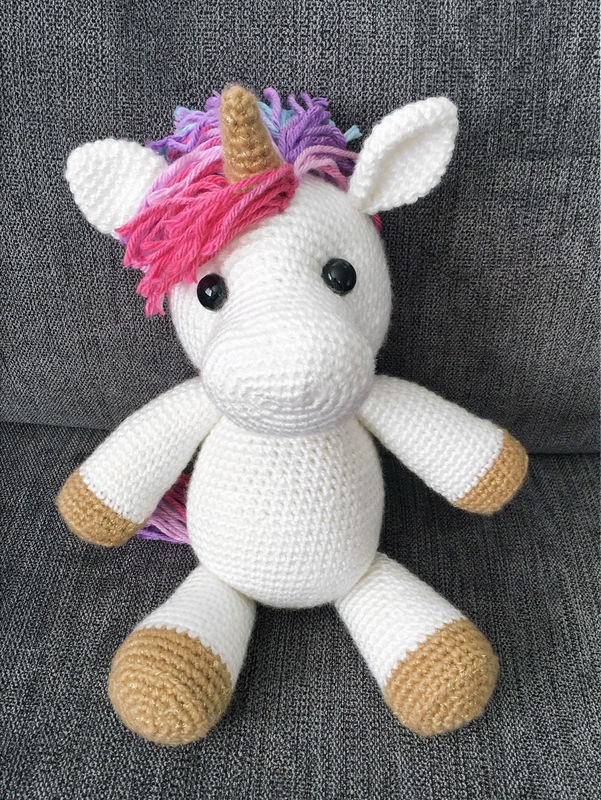 Jazzy The Unicorn by Jess Huff - I love unicorns (doesn't everybody?) and this little guy super cute. 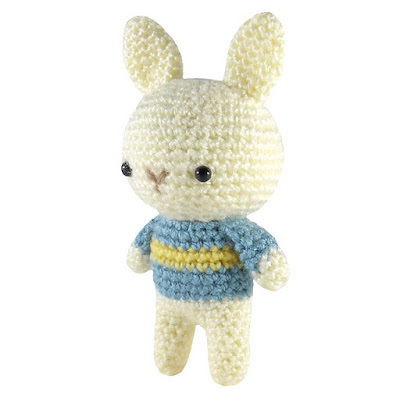 This is a decent sized toy for a free pattern and quite elaborate too. 2. Party Dog by Heather Gibbs (requires sign up) - This adorable little party dog made me smile! 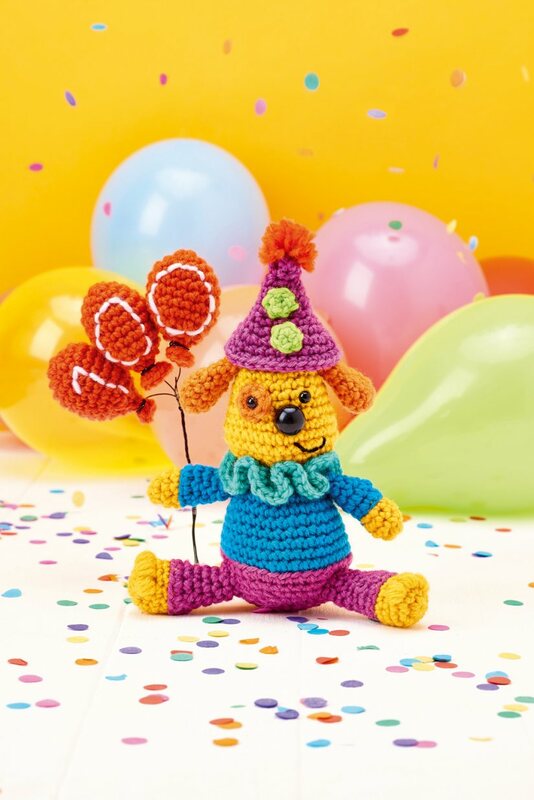 I love the bright colours the designer has used and his cheerful embroidered expression! To get this pattern you need to sign up for the Top Crochet website. 3. 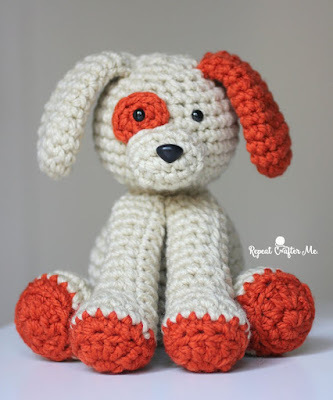 Plush Puppy by Sarah Zimmerman - Another cute puppy pattern! 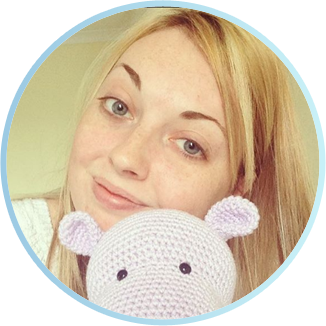 This one is by one of my favourite bloggers, Sarah of Repeat Crafter Me. I love his little eye patch! 4. Bunny Pom Pom by MinassCraft - Bunny rabbits are one of my favourite animals. They are so sweet and so gentle. 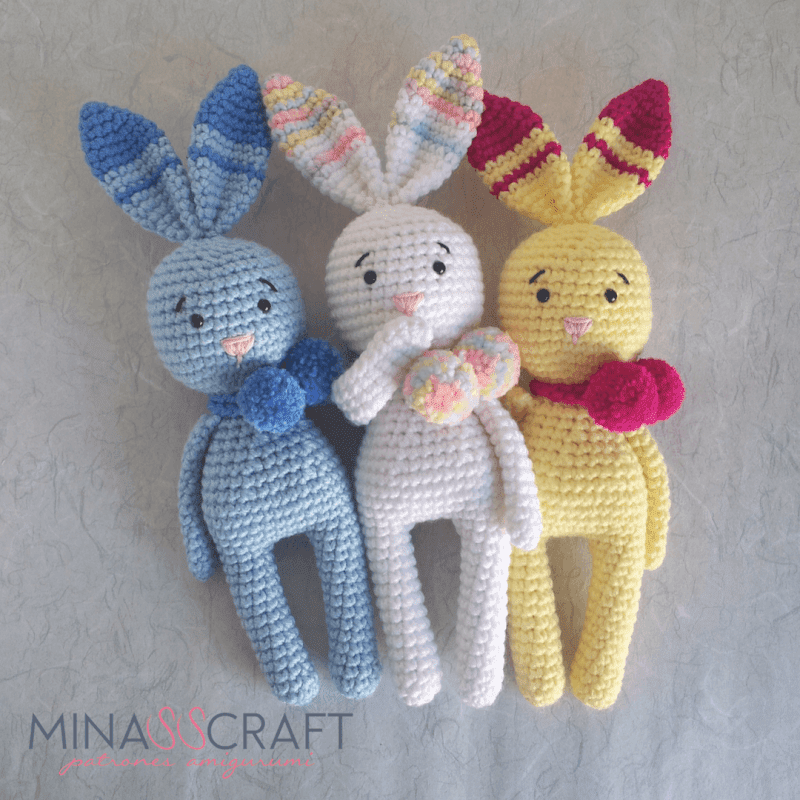 I love these adorable bunnies by MinassCraft and if I was making them myself I'd use rattle inserts and turn them into baby rattles! This pattern is also available in Spanish. 5. 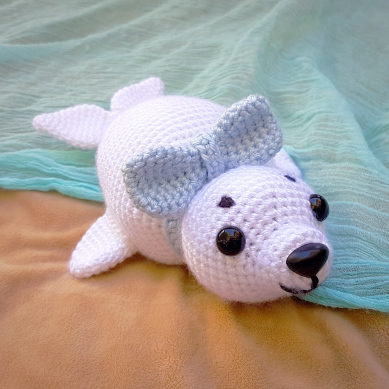 Hugo The Harp Seal by Handcrafting a Life - This is one of the best seal patterns I have seen, it's so well made. A safety nose really sets off this design and makes it look professional. 6. Granny Square Lion & Panda by Emma Varnam - Not 1, but 2 free crochet patterns here! 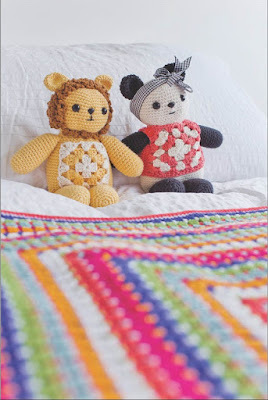 These granny square animals are very unique and original, as well as super cute! 7. Sweater Bunny by I Crochet Things - Not much to say here except the obvious - this bunny is freakin' adorable. Sometimes less is more and if you're looking for a simple, quick project for a baby shower then this could be your make! 8. 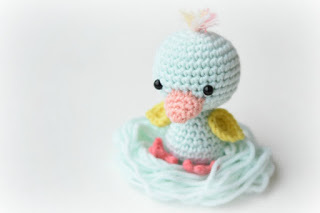 Little Friendly Duck by Lilleliis - This cute little duck pattern could also be a chick if you made him yellow with an orange beak! 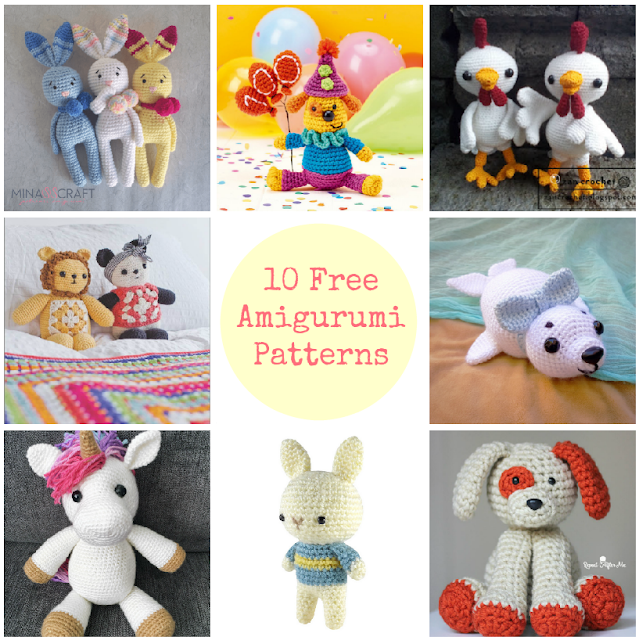 A simple pattern that was too cute not to make the list. 9. 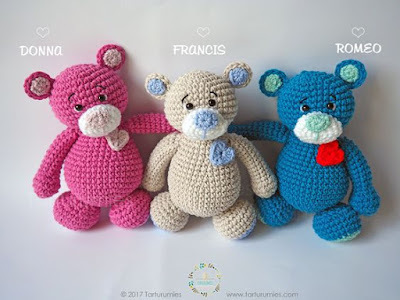 Sweetheart Bears by Tarturumies - These cute bears could be a very good Valentines Day seller at your next craft fair, or a very good handmade gift for your other half! 10. 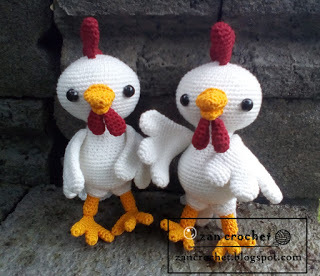 Rooster by Zan Crochet - I've seen many rooster/chicken patterns but this one is definitely one of my favourites. I love the realistic legs, feet and wings! Check back next month for my top 10 favourite free amigurumi patterns for June. Don't forget to check out my Pinterest boards for thousands of free craft tutorials and, of course, free crochet patterns!